December 5, The Iran Project – Iran has repeatedly rejected US accusations over its ballistic missile program, stressing that the program and other related activities of the Islamic Republic are in full compliance with the relevant provisions of the UN Security Council Resolution 2231, which endorses the the 2015 Iran nuclear deal also known as JCPOA. In response to the US Secretary of State Mike Pompeo’s tweet on Saturday (Dec. 1) that had claimed Iran’s missile tests violate Security Council Resolution 2231, Iranian Foreign Ministry Spokesman Bahram Qasemi said Iran’s missile program has a defensive nature, and no UN Security Council resolution bans Iran from missile program or tests, adding that it is designed according to the needs of the country. Qasemi went on to state that it is patently absurd that the US is citing a resolution that not only have they themselves violated by quitting it illegally and unilaterally, but they also encouraged others to violate it; or, if they follow it, the US will punish them with sanctions. Also, Iranian Foreign Minister Mohammad Javad Zarif said US is falsely accusing Iran of violating UN Security Council 2231 resolution while it has earlier breached the same resolution. Also on the same day, Spokesman for the Iranian Armed Forces Brigadier General Abolfazl Shekarchi said that missile test and defense capabilities of the Islamic Republic are for deterrence purposes and that test-firing and developing missiles will continue. In another tweet on Dec. 4, the Iranian foreign minister urged all parties to be committed to the United Nations Security Council Resolution 2231. 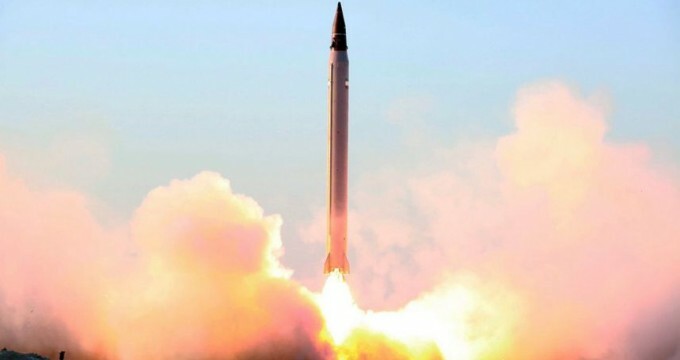 Meanwhile, Iran’s mission to the United Nations in a statement released on Dec. 2 noted that all ballistic missile related activities of the country are in full conformity with the relevant provisions of the UN Security Council Resolution 2231, which endorses the Joint Comprehensive Plan of Action (JCPOA). It further stressed that the US unlawfully quit the nuclear accord, and is in absolute violation of UN Security Council resolutions. The statement came shortly after Security Council met behind closed-doors to discuss alleged Iran’s latest missile test, which the United States and its allies claimed may have been in violation of Resolution 2231. The session ended with no joint statement.